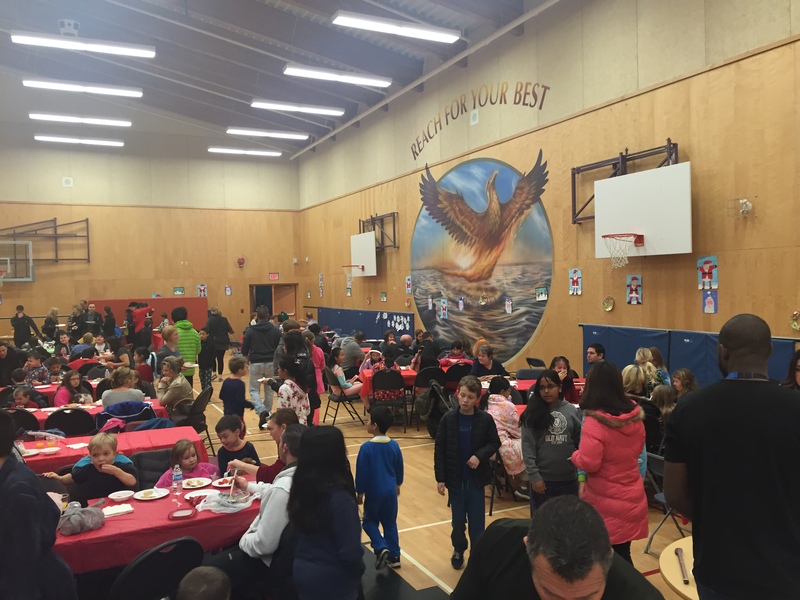 This week was Pacific Heights annual winter breakfast. This year the menu consisted of not only pancakes and waffles but a bagel bar and cereal centre. 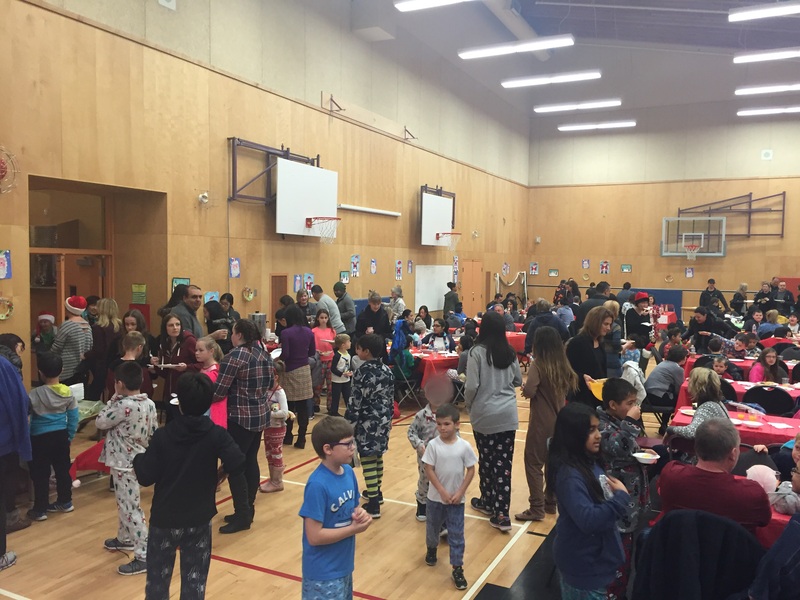 Over 300 people attended the breakfast this year and that kept the pancake makers busy. Many a breaker was blown, but in the end everyone was well fed! Thank you again to our wonderful PAC executive and parent volunteers who are the reason this event is such a success. During the event, tickets were sold for the basket fundraiser. One of our baskets was a BBQ! Don’t worry if you missed buying your tickets as you will have another opportunity on Thursday, the 17th before our Winter concert. Tickets are $2 for 1, $5 for 3 and $10 for 10. This week we also said goodbye to Mr.Saide our longtime crossing guard. We had an assembly in his honour and some of our leadership students made a video. Check out the Surrey School District main website page and the Peace Arch News for the whole story of Mr.Saide and his volunteer commitment to our students. We will miss Mr. Saide and his friendly smile! Next week we are looking forward to our Winter Concert on Thursday, Dec.17 at 1:00 pm. Please bring a donation to the Surrey Food Bank. Basket raffle tickets will be on sale along with baked goods and crafts.